In the winter, the sun barely scrapes the horizon in Canada’s high north. The average lows hover in the -30s, roads are covered in snow and polar bear sightings aren’t uncommon. For those who call Canada’s arctic home, winter is a way of life. And the only way to truly understand it, as one resident put it to us, is to see it for yourself. In 2012, teams from Google Canada and Google Earth Outreach touched down in the tiny fly-in community of Cambridge Bay, Nunavut, beginning an ambitious program to map the towns, wildlife and parks of Canada’s arctic. At the time, the digital maps of Canada’s north needed work. When you searched for a shop, a hospital or a school, the map pins would all land on the same spot: the post office, because that’s where every person and every business had a PO Box. While traditional cartography had captured the inlets and tundra of the north’s physical geography, there were no digital maps that accurately reflected the world of the people living there. 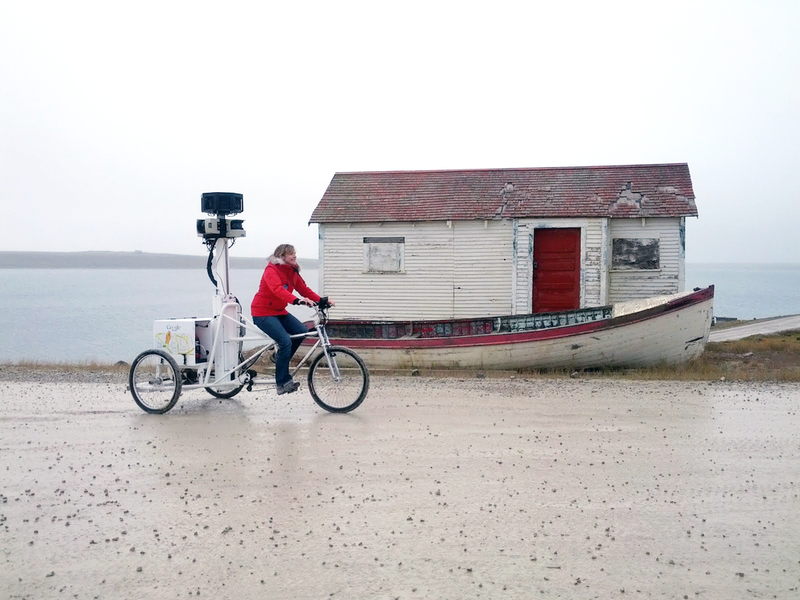 In addition to collecting Street View imagery of the town and surrounding landscape using an oversized tricycle, we worked with the nonprofit, Nunavut Tunngavik, to conduct a “map up” in the local community center. The people of Cambridge Bay, a hamlet of 1,500 people north of the arctic circle, added streets, places of worship and homes directly to the Google Map. This was about more than simply making an accurate and useful map—it was about building a virtual bridge between the communities of Canada’s north and the world. After Cambridge Bay, our work in Canada’s north expanded, and the newly developed Trekker allowed us to bring our Street View cameras to even more remote spots. Our teams traveled to Iqaluit, collecting Street View imagery from the frozen streets of Nunavut’s capital, conducting another map up and exploring the frozen landscape from the back of a dogsled. 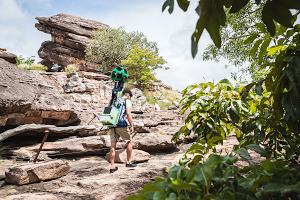 We also partnered with Parks Canada to collect Street View imagery from Canada’s northern parks, including Quttinirpaaq National Park. Located just 500 miles (800 kilometers) from the north pole, it remains the most northern Street View imagery on Google Maps. To support the conservation efforts of Canada’s arctic wildlife, over the past several years we worked with Polar Bears International and the Arctic Eider Society to take the Street View beyond the towns and onto the arctic’s tundra and ice flows. PBI strapped the trekker to a “tundra buggy” to capture polar bears in their natural environment. And we climbed on board a snowmobile to travel onto the ice of Hudson’s Bay to the small open pools of water where the eider ducks of Canada’s far north spend their winters. The Canadian arctic remains ecologically fragile, vulnerable to the impacts of climate change. 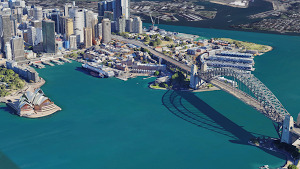 Street View provides a window for Google Maps users worldwide to explore these fragile habitats. As we reflect on Google’s 20th birthday this month, we think the story of Canada’s arctic is a story worth being told.